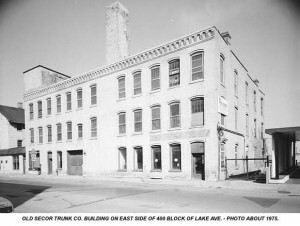 While the New York Tribune of the same date adds: A big combination of trunk manufacturers, including fifteen of the establishments in Milwaukee, Racine, Chicago, Oshkosh, Cleveland, St. Louis, Cincinnati, Detroit, Louisville and other Western cities, has been effected within the last four days. The syndicate is known as the National Trunk Company and its headquarters is at No. 213 Monroe street, Chicago. By the new arrangement the territory will be divided and each manufacturer will have a section exclusively to himself. It Has Not Been as Successful as Was Expected. It is stated here upon what appears to be reliable authority that it is quite possible that at a meeting of the directors of the National Trunk company in Chicago today action maybe taken that will result in the dissolution of the trust which was formed a little over a year ago. At the time of its organization there were eight companies in the combine, and although none have withdrawn the profits have been much less than was expected. It is a well-known fact that the Oshkosh concern, the Schmidt Bros.’ Trunk company, is sorry that it entered and other companies are said to be equally as disgusted with the turn affairs have taken. There are so many influential concerns outside the trust that it has been found utterly impossible to control market prices, and the competition has made it impossible for the trust to do away with much of the expense it hoped to abolish. From the time that the Secor concern of Racine withdrew from the combine it has been steadily weakened and that concern alone has led the trust a very swift competitive race. During the past year at least two of the concerns in the trust have proved a heavy load, those at Louisville and St. Louis. The two, it is said, have caused the trust a loss of over $30,000. Had it not been for these losses it would have been possible to declare a dividend at the meeting today of from 7 to 8 percent, but with the present condition of the combine’s affairs it is doubtful if the organization will come out even. 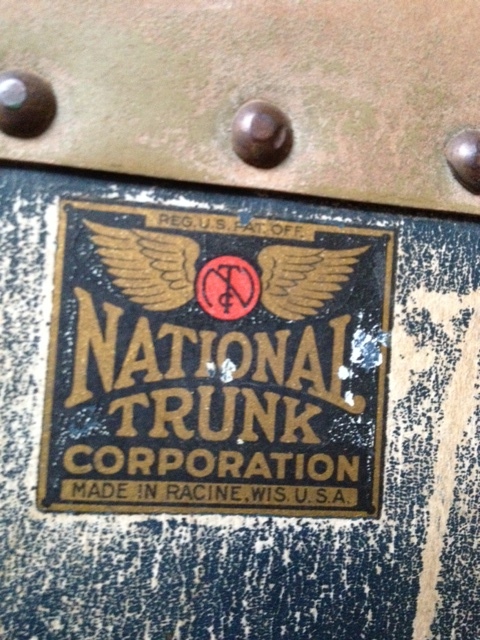 I have a national trunk corporation trunk. I was wanting more information on the company or the trunk. 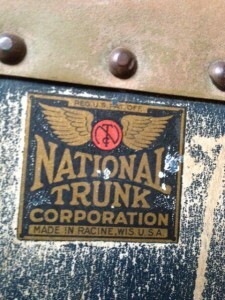 I would like to know the era the trunk came from. Any help will be greatly appreciated.